today i found the motherlode of all grocery stores in lisbon. it’s located in a mall out by the big soccer stadium (benfica). most grocery stores that we’ve been to are pretty small, have hotdogs in jars, a few different types of cheeses, some cereal, potato chips, the 2 national beers, narrow aisles, and that’s kind of it. but this one is super american style. 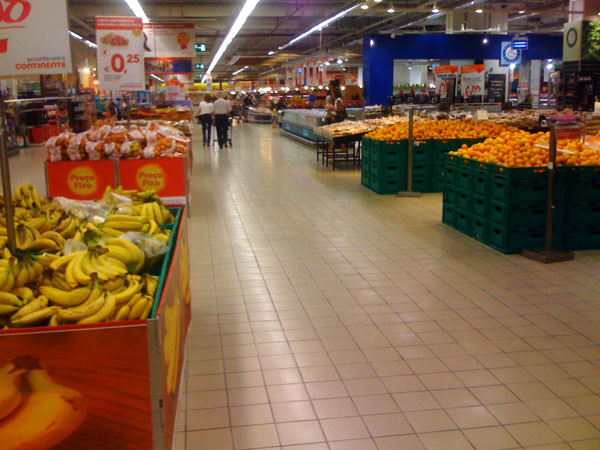 the aisles are wide enough to drive a (european) car down and there are many different choices for hot dogs in jars. 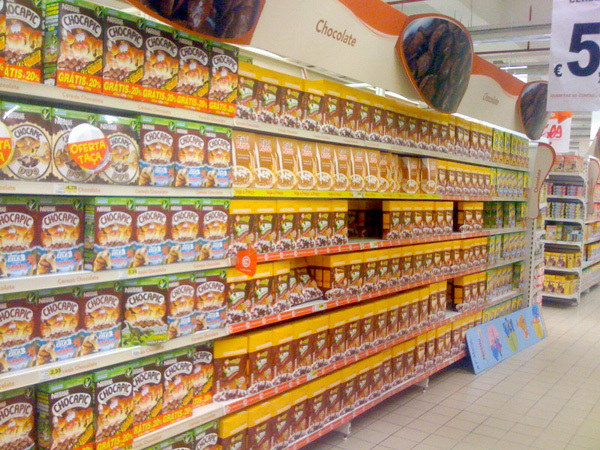 my personal favorite aisle is the one that has nothing but chocolate cereals. it’s double the length of the photo, all chocolate cereals. i didn’t get any but i may have to try one some day. Hooray for you! I get very emotional about my supermarkets, and in a new place have a hard time feeling grounded until I find a good one. So I’m feeling relieved for you! Hooray for Choco-flakes! hot dogs in a jar AND an entire aisle of chocolate cereal!? that’s it, I’m moving. please keep posting updates on all the adventures you guys are having! they’re great! 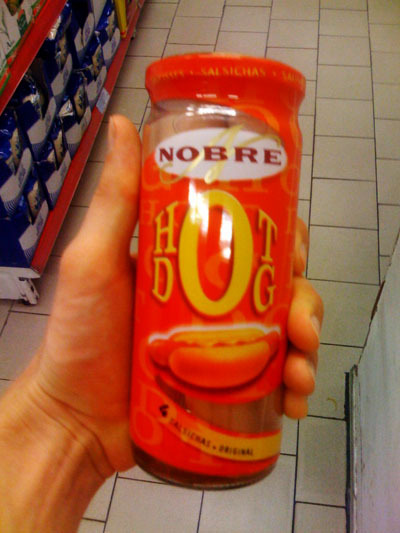 Amazing, but I am not sure about the hot dogs in jars? I’d stick with the fish… Enjoy the variety!